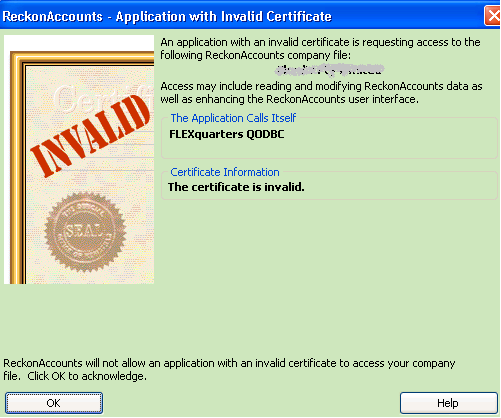 I have installed the QODBC and QuickBooks I have set the Company Preferences / Integrated Applications to Allow Access to FLEXQuarters QODBC. 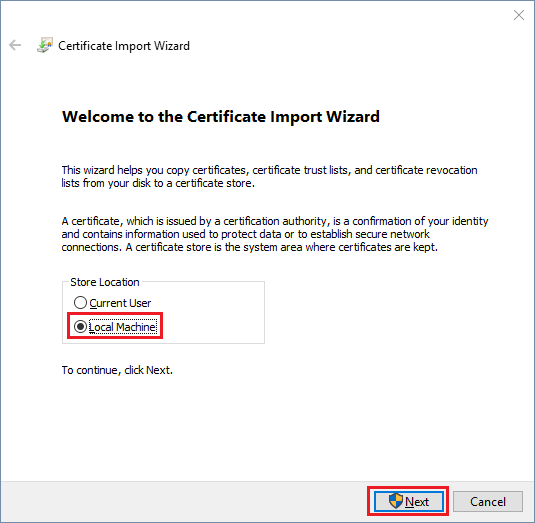 When I hit the Test Connection to QuickBooks button I get a message from QuickBooks saying The certificate is invalid. 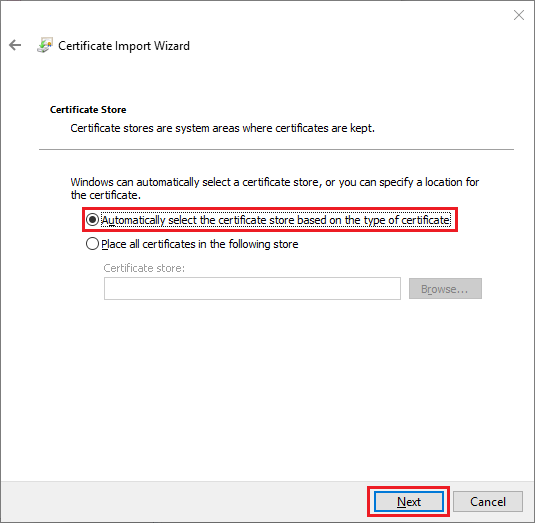 For Invalid certificate error when using Office 2016 [Excel or Access] please click here. 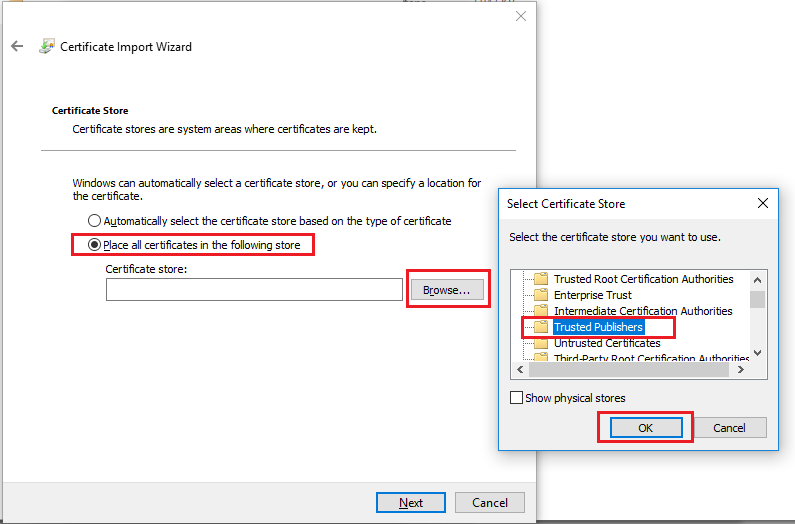 Please make sure you are connected to the internet from the machine to validate the Certificate. 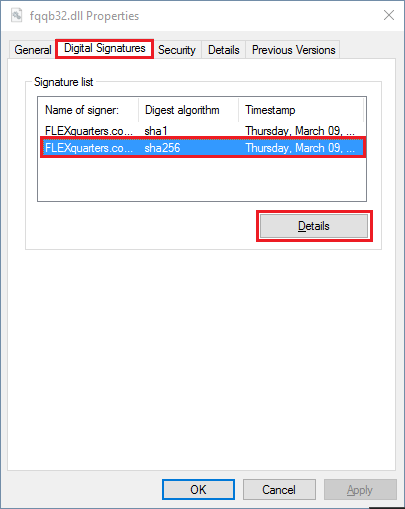 Please check property at c:\Windows\SysWOW64\fqqb32.dll or c:\Windows\System32\fqqb32.dll from "Digital Signature" tab. 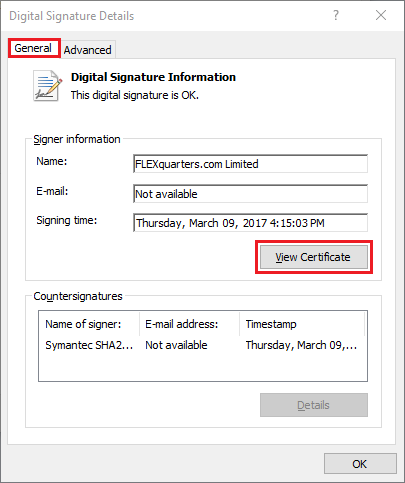 Please click on "Details" to check the Certificate. Please finish the installation by click Finish. After Installation please Restart the machine and Test Connection. 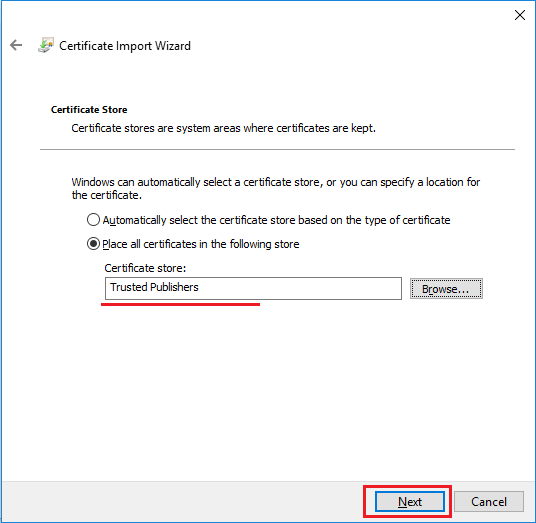 You will be back to the Certificate Window. 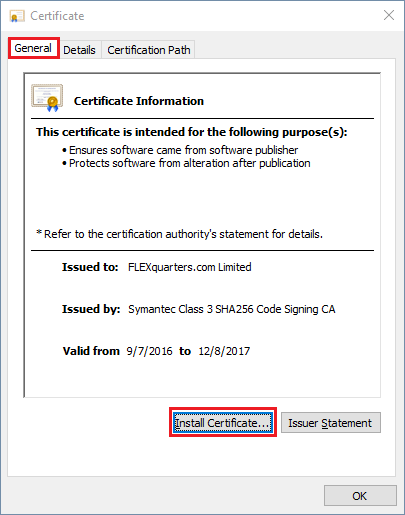 Please install the certificate again. 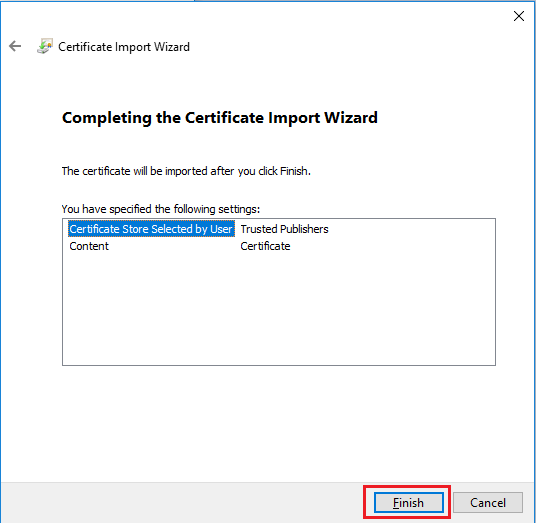 This time we will install it under "Trusted Publishers"
After installation of the first certificate, Please select the second certificate and follow the installation steps same as above again.